Olivia Abeyta is a sophomore who still thinks she is a freshman. She loves to draw, listen to music, and read. During class you may see her drawing in her sketchbook or spacing out, as this is what she does 99 percent of the day. 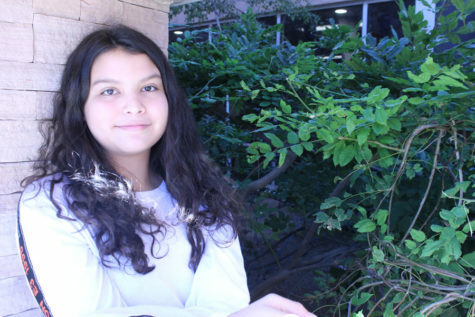 Her dream job is to become a graphic novelist, either for a famous comic book company or for her own franchise. If that doesn’t work out, you might find her working at Wendy's.